Legendary Comics are to release a comic-book adaptation of what is surely to be the feel-good movie of the Summer; Pokémon: Detective Pikachu. The movie, which hits theaters in May, will receive the extended one-shot comic soon afterward. 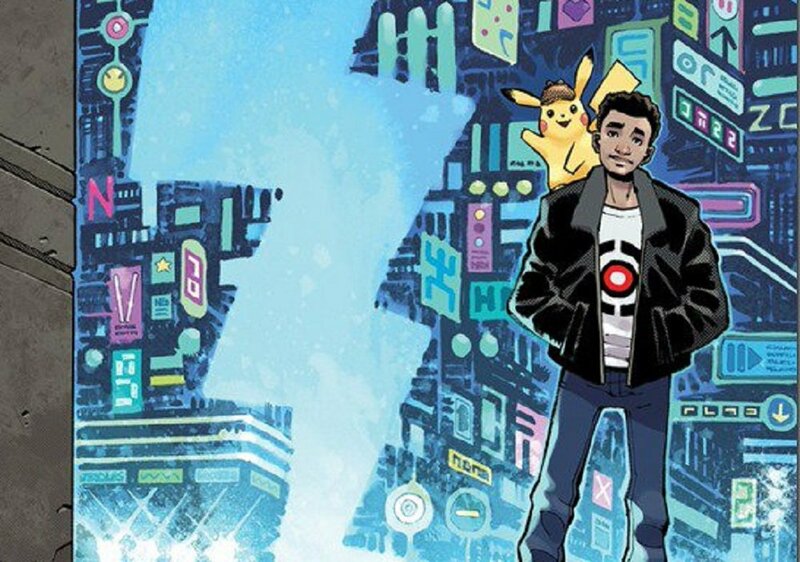 The Detective Pikachu comic will be a straight recreation of the movie, as young Tim Goodman and his furry, coffee-addled sidekick search Ryme City for the former's missing dad. The comic is written by Brian Buccellato (The Flash, Injustice) with artwork by Nelson Daniel (Ghostbusters, Dungeons & Dragons). "We are thrilled for the opportunity to work with the Pokémon Company International", said Robert Napton, Senior V.P. of Legendary Comics. "Pokémon is a globally-adored brand, and we absolutely loved expanding the story of Detective Pikachu onto the page with the help of Brian’s words and Nelson’s art". Pokémon: Detective Pikachu hits theaters from May 10. The comic adaptation will be available digitally and in stores this Summer.